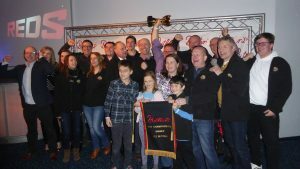 What a superb weekend for The Skelmanthorpe Brass Band Community at the 2017 Butlins Mineworkers Open Championships in Skegness. The Skelmanthorpe Prospect Band almost emulated the senior band, in coming second in the Second Section out of 18 bands, playing ‘Inclusion’ (Paul Sharman) under the baton of their conductor Phil Garlick. Both bands performed off a number 18 draw.